Red is the Christian colour of martyrdom. 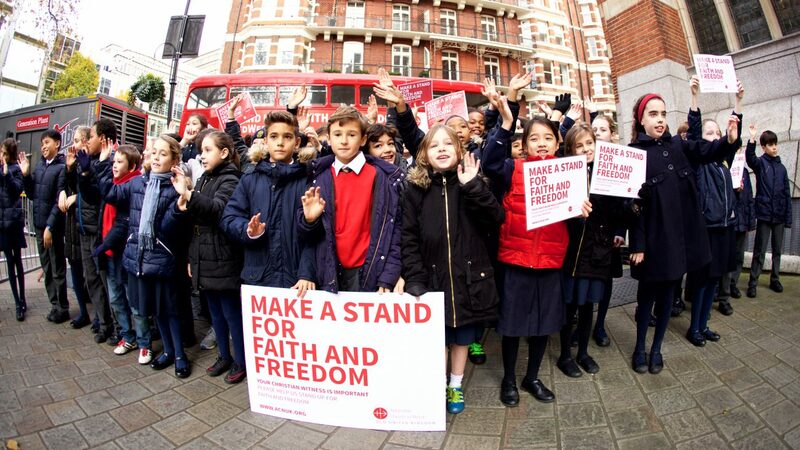 Christians are the most persecuted faith group in today’s world and #RedWednesday will honour all Christians who suffer and die for their faithfulness to Christ’s message of peace and love. #RedWednesday will shine a light on Christian persecution but also highlight the injustices perpetrated against other faith groups. JOA will be holding #RedWednesday on Wednesday 22nd November to support the work of Aid to the Church in Need (ACN). ACN are an organisation who work for the rights of those persecuted for their faith around the world. On Wednesday 22nd November, we are asking that pupils donate 50p (via ParentPay) to support the work of ACN, whilst also wearing an item of red clothing in solidarity with those affected by religious persecution. There will also be student led lessons and reflections taking place in RE lessons and in the Chapel. investment banking over a two day work placement in The City. Step In, Step Up is an introductory two-day programme designed for Year 12 and 13 female students. This programme comprises of divisional overviews, case studies, panel sessions, a trading floor tour and interactive workshops. Participants will also have the opportunity to work as a team, develop their presentation skills and network with employees at all stages of their careers. Make your on line application via this web link (below) through the Morgan Stanley web site. Fantastic opportunity to do some art and design work experience with the professionals. Check out the website, see the dates and book in, it is that simple. College Open Events are starting soon. Please take the opportunity to check them out. If you are interested in careers in finance then consider following Investment 2020 through Twitter. They share information about open events at leading Investment Banking companies amongst other things and potentially work experience placements too. Their web site is https://investment2020.org.uk/ and they are offering events over half term. Very short notice, sorry, just seen it! TODAY, KPMG are launching a range of apprenticeships (KPMG 360 Degrees) and work experience opportunities (KPMG Discovery). Follow this link to their apprenticeship page. If you are available please consider spending a few hours at Skills London on the 24th or 25th November, you will find the largest number of apprenticeship providers under one roof.